Explore the hidden wonders of Eastern Europe over 9 days in all-inclusive luxury. 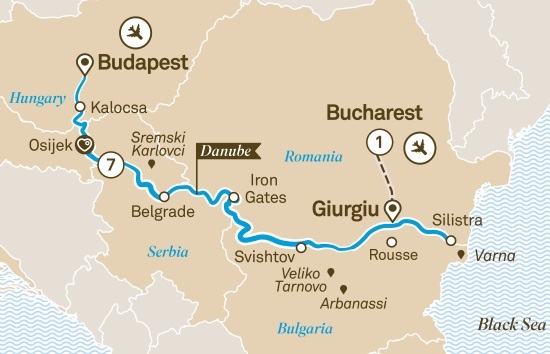 From Bucharest, sail towards Budapest and pass through the Iron Gates. For much of the 20th century the wonders of Eastern Europe were concealed behind a thick veil of secrecy. Fortunately, those once mystery-laden lands are now open to all. Start your journey in Romania's capital, Bucharest, then journey through a handful of unspoilt lands, where lush landscapes are punctuated periodically by towns and cities that still look as they might have over a hundred years ago. Cruise on board your luxurious Scenic Space-Ship along the Danube to Budapest, regarded by many as the most beautiful city in Europe.